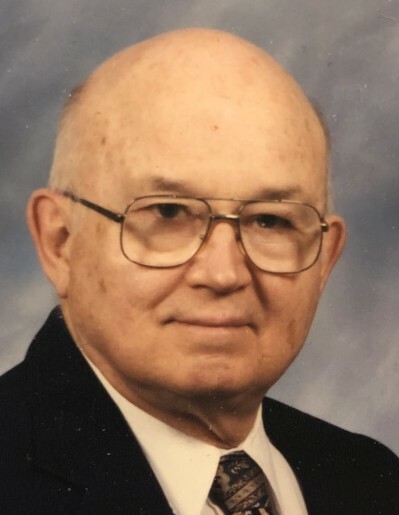 Dr. Charley Neal Beard, 86, of Paris, died Monday, January 14, 2019, at Vanderbilt University Medical Center in Nashville, TN. He was a dentist in the U.S. Army before returning to Paris, where he practiced until retiring at the age of 83. Dr. Beard was known for often providing care for his patients without regard for their ability to pay. He was a longtime member of First Baptist Church. Dr. Beard was born in Paris on February 12, 1932, to his parents, the late Charley Cates Beard and the late Mary Catherine Neal Beard. An Eagle Scout, he attended the second-ever Boy Scouts of America National Jamboree, held in 1950 in Valley Forge, PA. He played football at E.W. Grove High School and was center for the 1949 championship team. He graduated from Grove in 1950 and the University of Tennessee in 1955. On December 28, 1955, he married his beloved wife, Mary Virginia Greeson Beard, known to him as “Ginny” who survives of Paris. An avid camper and bird watcher, Dr. Beard enjoyed canoeing at Kentucky Lake with his family and had a deep respect for all animals and wildlife. He was devoted to reading and learning about history, especially about the Civil War, and took his family to many forts, national parks and monuments around the region. Many remember seeing Dr. Beard driving through town in his green 1965 Volkswagen Beetle. In addition to working on cars, Dr. Beard loved fixing and building things in his workshop, including historically accurate muzzleloaders. In recent years, he designed and built many things to help with his decreasing mobility. In addition to his wife, Dr. Beard is survived by two sons, Chuck Beard of Cookeville, TN, and Robert (Loren) Beard of Louisville, KY; his twin sister, Mary Elizabeth (Jerry) Penick of Danville, KY; and three nephews, Steve Penick (Amy Short) of Nixa, MO, Mark Penick (Rebecca Allen) of Yelm, WA, and Jimmy Singh (Lotte) of Hong Kong. His family is very appreciative for the support and help from many longtime friends, including Mike (Judy) Garner and Jimmy (Peggy) Williams of Paris. Arrangements are being handled by Ridgeway Funeral Home, 201 Dunlap St, Paris, TN, where visitation will be Friday, January 18, 2019, from 10:00 am – 1:00 pm, with the funeral service will beginning at 1:00 pm at LeDon Chapel of Ridgeway Funeral Home, with Dr. Trent Bullock officiating. Pallbearers will be Dr. Mike Dunkerson, Dr. Robert Whitfield, Mike Garner, Jimmy Williams, Paul Veazey, and Roland Parkhill. Burial will follow in Hillcrest Memorial Park. Memorials may be made to: Friendship Sunday School Class, First Baptist Church, 313 North Poplar St., Paris, TN. 38242.